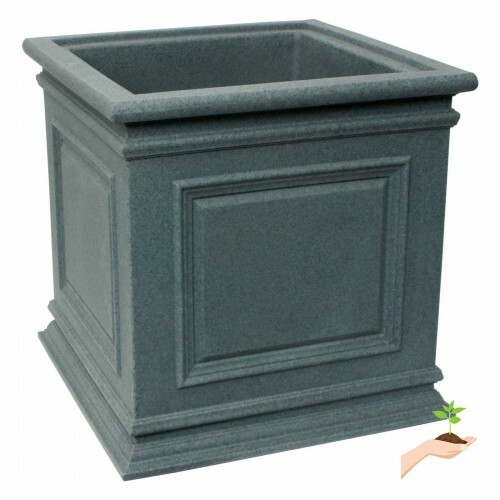 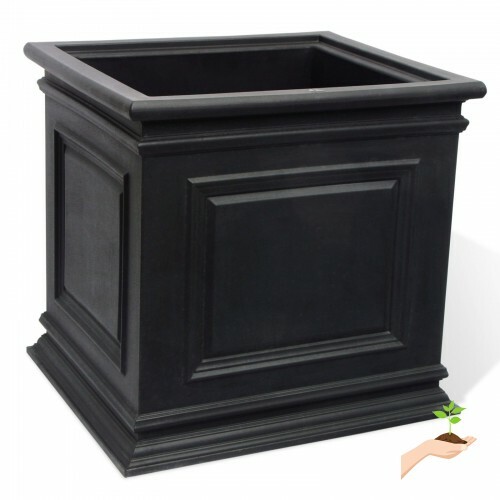 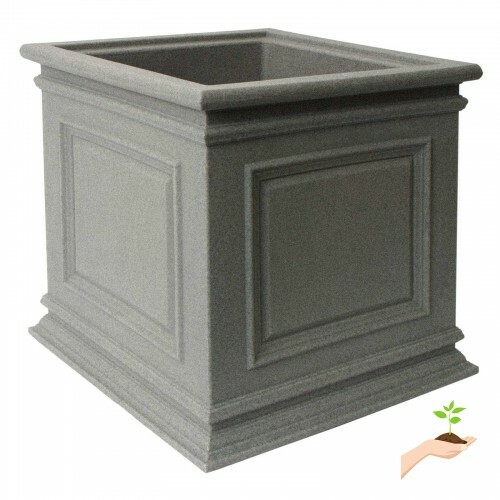 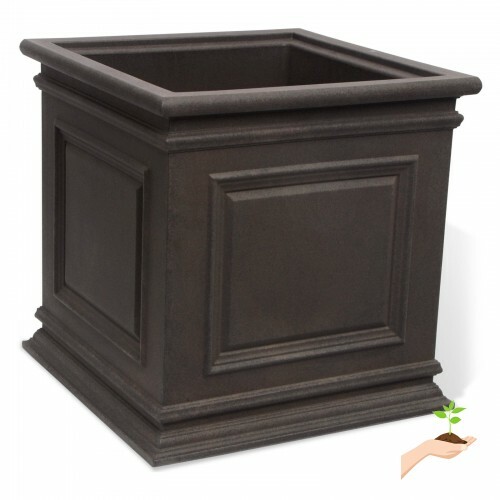 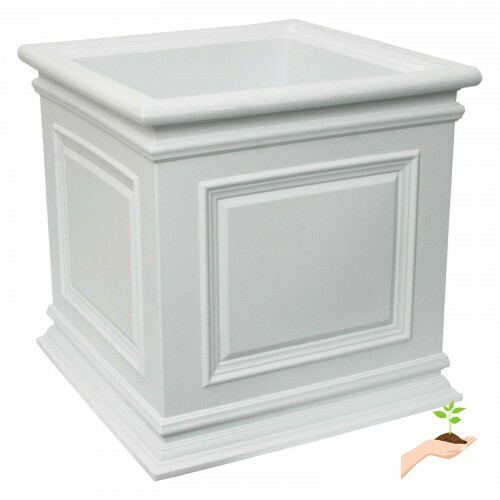 The Algreen Covington Self Watering Box Planterhas a self-watering reservoir with a sub-irrigation system that slowly releases water to care for your plants and help their roots to grow. 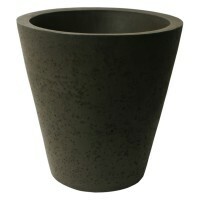 This recyclable, BPA-free planter is made from polyethylene, which is crack-, fade-, and chip-resistant. Easily complement your patio, deck, or other outdoor area with the planter's crown molding design in a color of your choice. 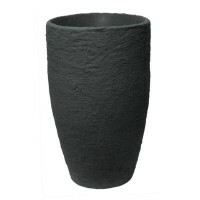 Algreen Algreen manufactures and distributes high-quality, stylish garden products which promote sustainable lifestyles in the backyard. 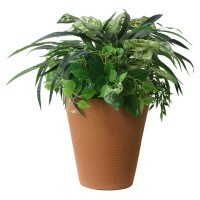 Their products work to recreate natural habitats, conserve natural resources, and help those who use their products spend more time with family.